I know this seems like an odd choice for my first hub, but this is a topic that I have dealt with first hand. I have lost a pet to puppy mange. It was a very difficult time. I hope this article will help others notice the signs of mange and keep their pets healthy. Mange is a skin disease that affects mammals. This disease is actually tiny parasitic mange mites that burrow down into the skin. Mange has been known to affect cats, dogs, rabbits, and other animals. 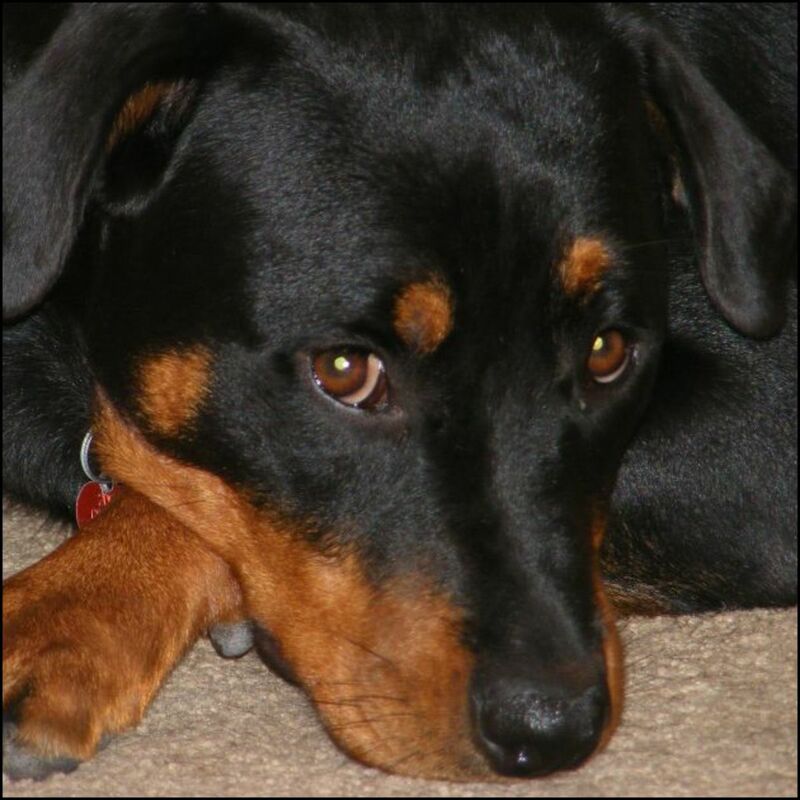 Although there are a wide variety of mange mites very few of these actually affect pets. The mange mites cannot be seen with the naked eye because they are incredibly small, but the effects of their burrowing can be easily seen along with the animal's reaction. Burrowing will cause the intense itching. This causes the animal to bite and scratch the infested area until it becomes raw and infected with bacteria. Hair loss and burrowing caused by mange mites. Mange spreading causing extreme hair loss. In order to find the best cure for your pet, it is very important to know the differences between the three types of mange. Demodectic Mange, also known as Red Mange, Demo Mange, Puppy Mange or Demodex Mange, is not contagious, but inherited from the mother. Demo Mange is considered the most serious type of mange because there is no cure. If the puppy is born with a compromised immune system it will not be able to fight off the infection caused by the mites. This often leads to intense suffering and death. 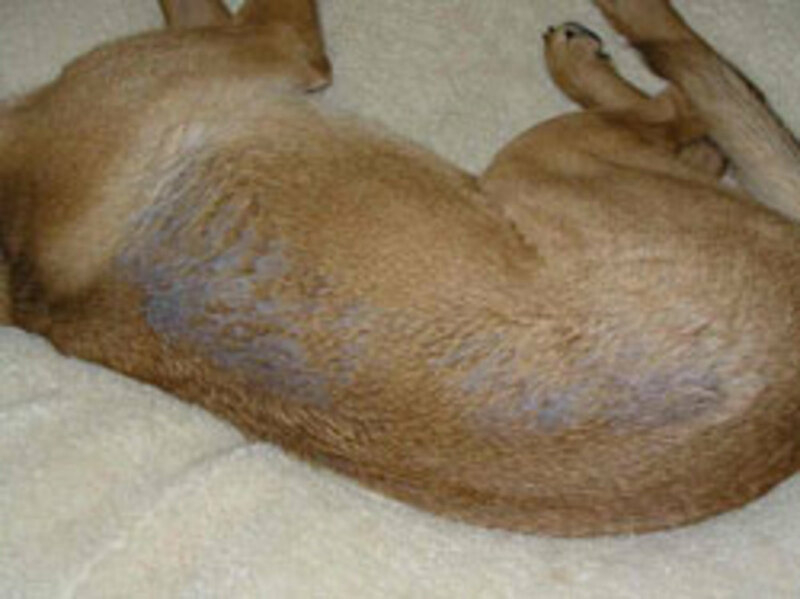 Sarcoptic Mange is commonly referred to as canine scabies because it appears so often in dogs. These mange mites usually burrow in the hairless areas of the body, such as the abdomen and the elbows. Even though this disease is more common in dogs, it can be also be spread to cats and humans with short lived effects. 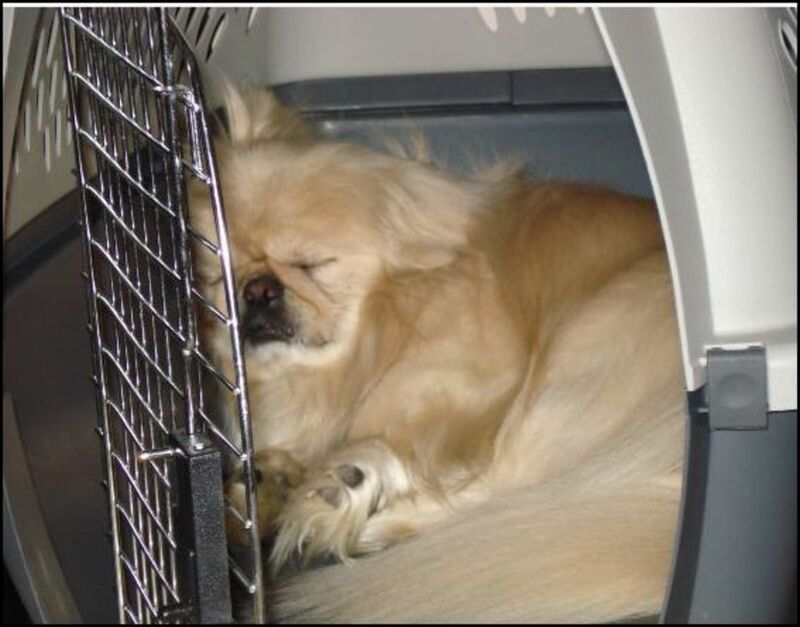 In dogs, the burrowing affects can be very severe and can lead to serious infection if not properly cared for in a timely manner. Notoedric Mange is sometimes referred to as cat mange or feline scabies because it occurs more frequently in cats. This skin disease takes the form of scaly patches that start in or around the ear region. It spreads very quickly if not treated. This type of mange is highly contagious and can be spread between many pets such as rabbits, cats and dogs, as well as humans. Hair Loss also called Hot Spots. If your pet has mange, chances are you will not actually see any mites. 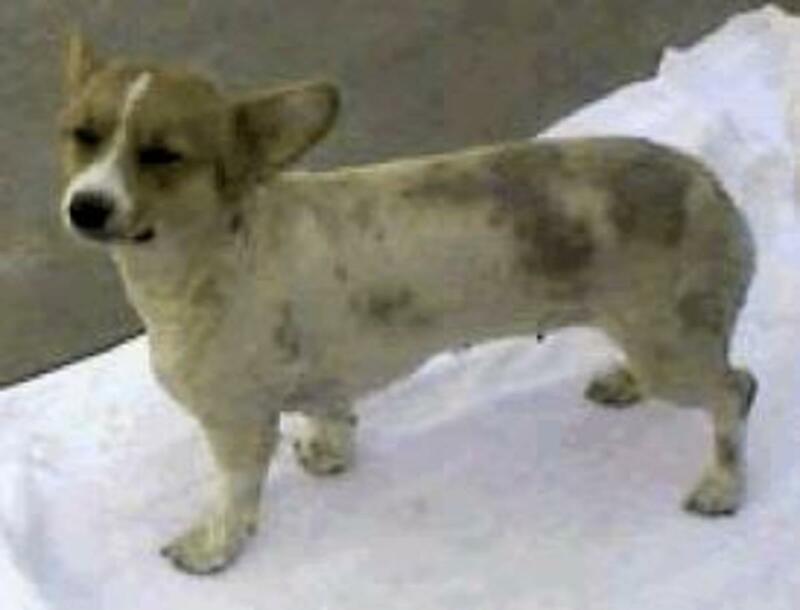 Noticing the symptoms of the mange, such as the mite burrowing into the skin or hair loss is the indicator. A close inspection of the skin in or around the ears, abdomen, and leg joints for any signs of sores or hair loss caused by mites should be done first. 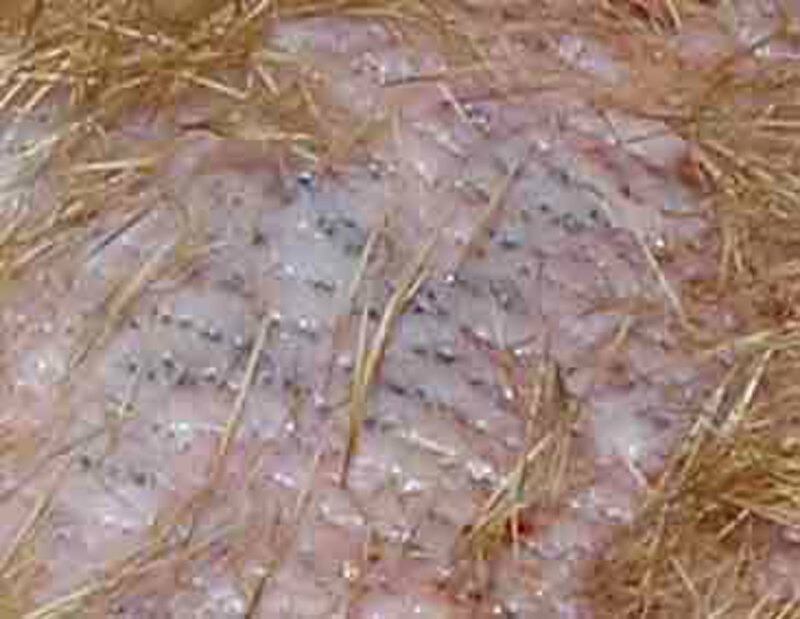 A skin scraping may be needed to find evidence of mange mites. Under a microscope signs of mites may be easy to see. Unless the mites have burrowed deeper than the scraping. Another type of diagnosis called the “Pedal-Pinna Reflex” can also be performed. This is actually very simple exercise. Stimulating or tickling the animal's ear to see if it will raise a hind leg to scratch the area. If done correctly, this can give an accurate diagnosis of mites in 95% of cases. If you suspect your dog has mange, you should seek treatment immediately. This will not only give some comfort and relief to your pet, but also help prevent spreading to other animals and humans. Your pet should also be kept away from other animals during treatment. Any furniture or pet bedding that has been in contact with the infected animal should be treated also to prevent reinfestation from occurring. HowStuffWorks "Home Remedies for Dogs With Mange"
It's not uncommon for a dog to have mange. 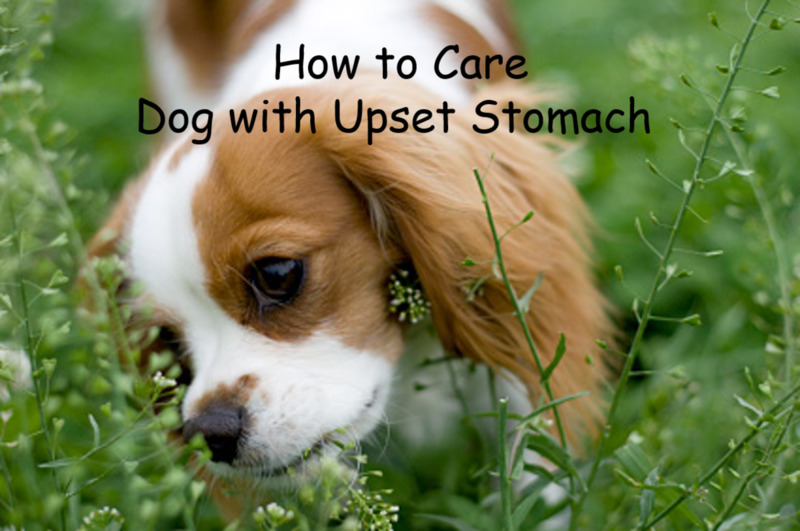 Find out how to do away with mange mites on your dog. An explanation of the various types of mange in dogs and cats--all caused by mites--their degree of seriousness, treatment, and prevention. Find out more about the different types of mange in dogs also known as canine scabies. Demodectic Mange can be treated & manageable, but it is not curable. This article is innacurate in some of its statements. 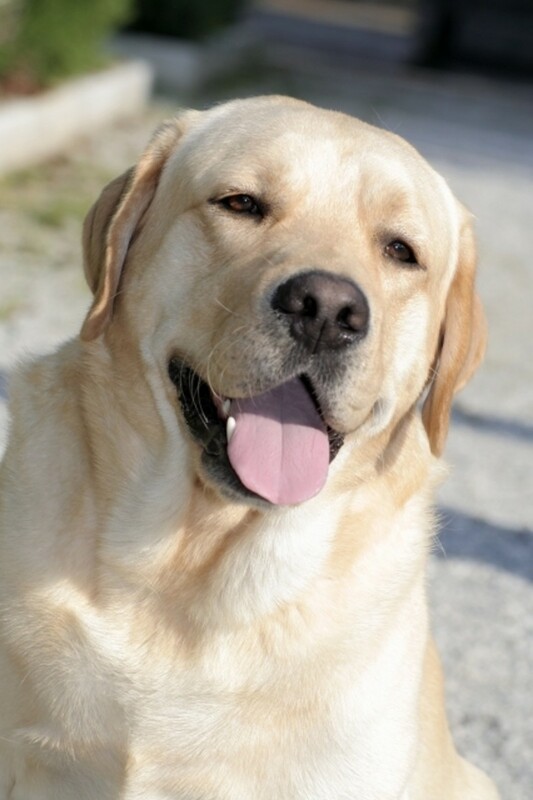 First of all, all mange types that attack dogs most often (Demodectic, Sarcoptic , or Cheyletiella) are curable . Not all mange mites burrow under the skin such as in the case of Cheyletiella mites. Please see http://www.florapetnaturals.com/mange-facts.html for accurate facts on mange. tnx so much for the information. Thanks for stopping by, Moonlake! Good information and good hub.